Denise Carbon, M.A. ECSE, IFECMHP, is an Infant and Child Development Specialist and is endorsed in the State of California as an Advanced Transdisciplinary Infant-Family and Early Childhood Mental Health Practitioner. Her Bachelor’s Degree is in Psychology with a concentration in Health and Child Development and she holds her Master’s Degree in Early Childhood Special Education. She has worked with young children who have special needs and developmental delays for the past 30 years in the home, community, hospital, day care, and classroom environments. Her specialty areas include working with children who are medically fragile, former premature infants, and children with severe, multiple disabilities as well as children with developmental delays in various areas. Denise has provided families with home-based developmental screenings and assessments, one-on-one specialized educational instruction, behavior, feeding and sleep consultation, parent coaching, and family advocacy and empowerment. Denise has provided years of individualized home-based early intervention services to children & families in the east bay and up and down the peninsula. She enjoys providing family-focused services aimed at enhancing overall child development (in all areas) and fostering positive parenting skills. Her goal is to improve parental peace of mind and decrease parental stress and fear while helping little ones reach their developmental milestones and make progress. In addition to home-based instruction, Denise has lead Early Intervention infant and toddler classes, she has taught in inclusive preschool classrooms, and consulted for community based preschools and day care programs. She has been the keynote speaker for various conferences, seminars and workshops in California and has delivered educational presentations on various developmental topics for parents, family members, care providers and professionals within her field. She has a genuine passion for helping all young children grow and reach their full potential; she enjoys working with all family members, and has a special fondness for working with parents who have children under the age of 5. 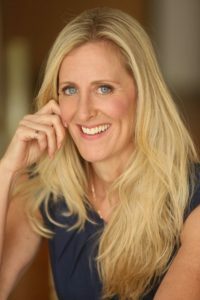 Denise’s mission is to help soothe the world – one family at a time – and she is passionate about helping people understand that all children are special and that each child, regardless of their abilities, has something unique and wonderful to offer this world.